CASTLE with JUMP and CLIMB and BOUNCE and BASKETBALL. A bouncer with climb, slide and basketball goal. This bouncing castle for rent is a true best seller. This castle combo bouncer is great for the toddlers and elementary schoolers. Enjoy the fun with the open netting to view the kids. 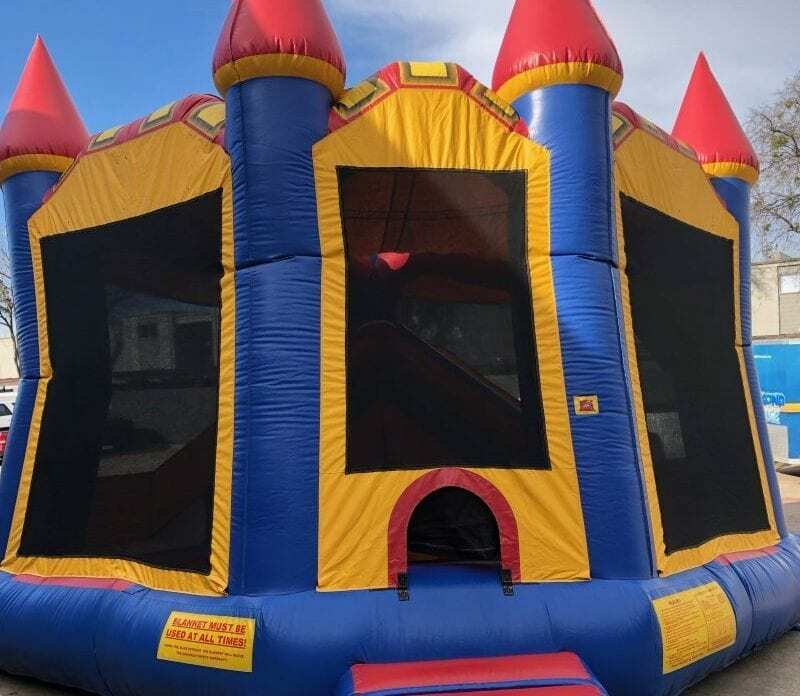 Try out this inflatable castle today. It is super fun for the kids.